Replacement surface elements for GE and Hotpoint stoves from the 1940s and 1950s. 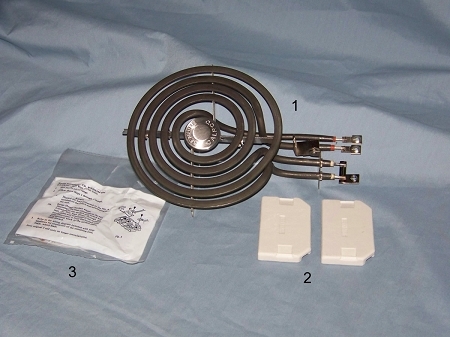 GE/Hotpoint produced two primary styles of surface burners during these decades: one style had the trim ring attached to the burner (WT), one style had the trim ring separated from the burner (NT). Note: These burners are not for use on stoves from the 1920s and/or 1930s.